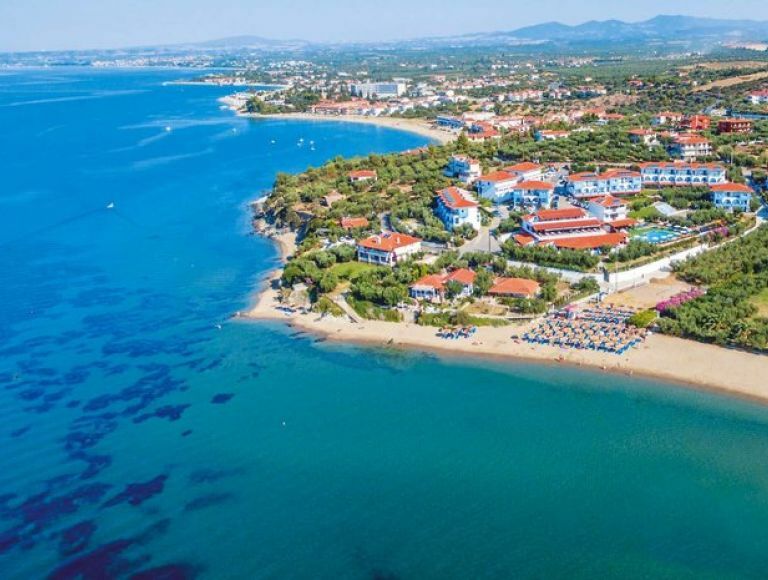 Gerakini is a seaside resort located between Kassandra and Sithonia, which is getting more and more popular while it is known about its "Blue Flag" awarded sandy beach. It’s not a very big town, but in summer the region attracts thousands of tourists. 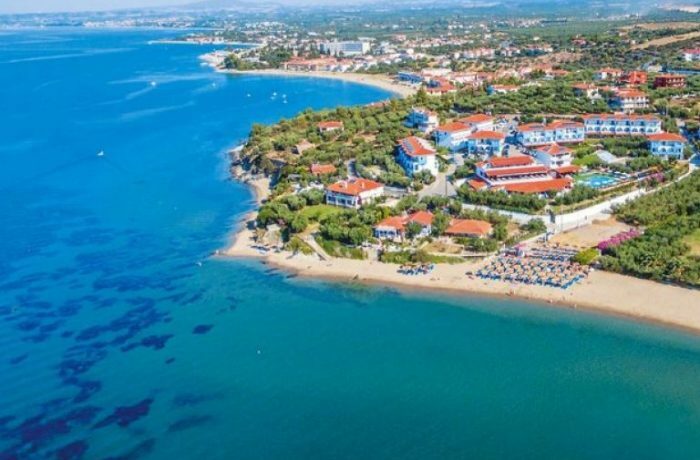 There is a wide range of hotels, rooms to rent, guesthouses and villas for hosting visitors and typical tavernas alongside the beach to enjoy Greek food. Other facilities such as bars, shops, and supermarkets are available, too. The village main beach, called Skala, is a white sandy one with emerald water, surrounded by two impressive pine-covered hills. On the northern side of the village, the old mines of granulite and magnesium are there on display.